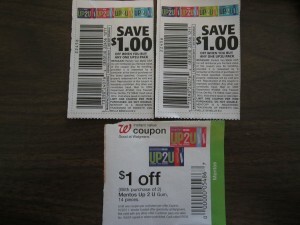 Free Up2U Gum at Walgreens All Week! I knew the $1/1 coupon from the 10/9 SS would result in a freebie somewhere! - 2 free packs of gum!